Make a Christmas Memory with Your Family - Take a step back in time to dance. The annual Ball of Christmas Past, a fun-filled night straight from the Regency Era, will be held Saturday, Dec. 10, 2016 at the Tennessee Valley Country Club’s Christian Home in Tuscumbia. Tickets are $15 per person or $25 per couple and may be purchased in advance at Oh! Bryan’s in downtown Tuscumbia. A limited number of tickets may be purchased at the door. The Natchez Trace Parkway Association, in conjunction with Tuscumbia Retail Development's *It's a Dickens Christmas Ya'll* will host the event. Everyone is welcome to join us for an evening of English country dancing with music, holiday greenery, Christmas decorations and refreshments from the Regency period. Evening entertainment includes exhibitions by dancers and information on foods from the era. 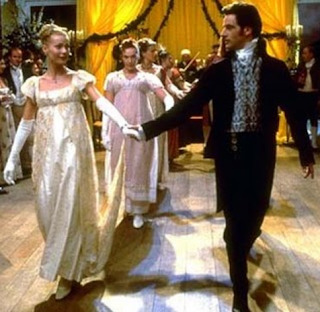 Proper dress from the Regency period is requested and encouraged, but not required. Ages 12 - older. For more information about the Ball of Christmas Past or to purchase tickets, please find us on Facebook at Ball of Christmas Past or contact Lisa Pace at (256) 366-6796.